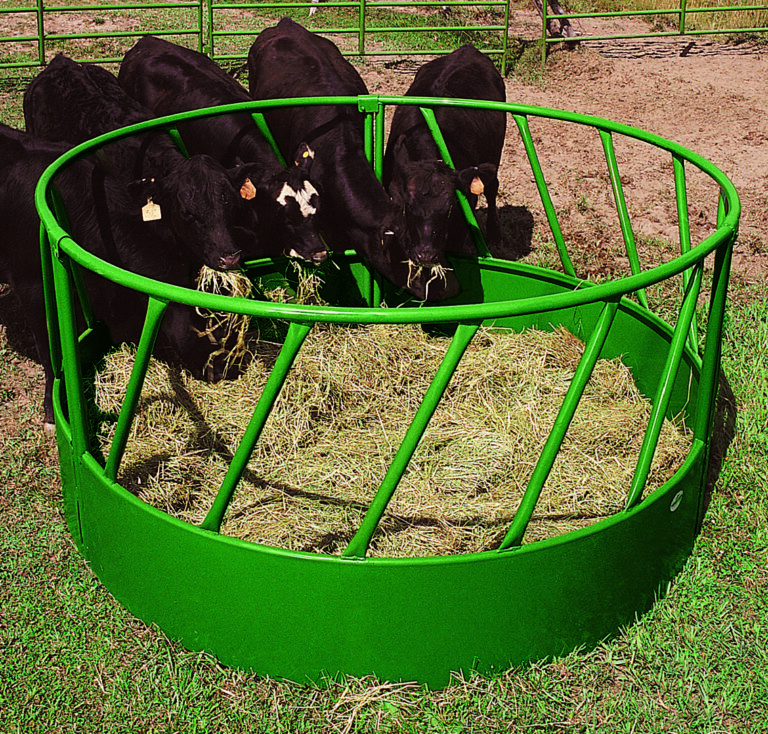 The Powder River Slant Bar Round Bale Feeder is a great value. The panels are made from 16-gauge, 1.66″ tube. The 18-Inch high pan is made from one single piece of 16-Gauge sheeting, which means you get a stronger, more durable feeder for your money. Improved panel connectors allow feeder to be easily and quickly assembled with just three bolts. This feeder is available with or without legs.